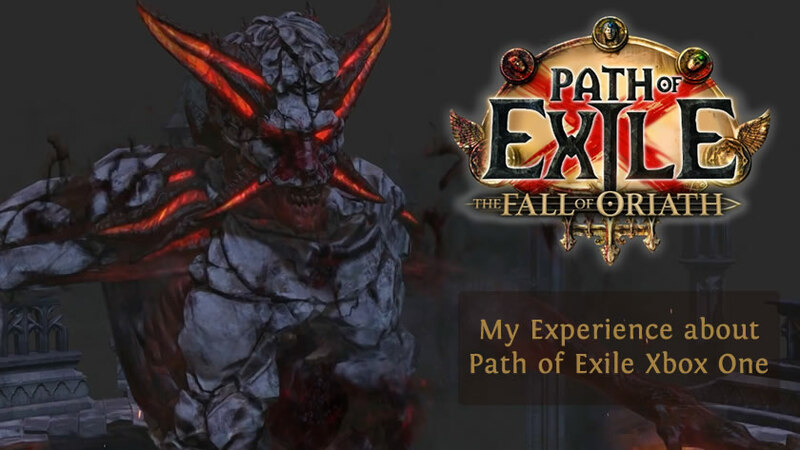 As a super fan of PoE, I has played Xbox One version of Path of Exile during the beta and after releasing and now would like to share my experience with you for your reference. Performance is great. Locking game into constant downscale mode is good. Overall, the downscale kicks in rather rarely and I prefer it a lot over framerate drops. Functions like these show that the devs set their priorities and want to provide a fluent experience instead of eye candy at the expense of framerate. That is wonderful. Generally speaking, the UI works fine but there are bugs like being unable to use currency in the currency tab, rendering the central crafting spot useless until this has been fixed. By the way, If you are looking forward to buying Path of Exile currency, recommended to buy on our website! While many criticized things like B not being used to exit menus, consistency should be praised although this leads to breaks with industry standards. If you are at the point where muscle memory kicks in, so it's not really an issue. Yet there is room for improvement in this sector. The suggestion would be to map flasks to A/B/X/Y (the skill buttons) and their RT variants. Gameplay itself is very smooth and fun which players can enjoy to the full and quite familiar with. Some skills are rather hard to aim, making them possibly less viable on console than on PC. But on the other hand, melee feels a lot better. It is fully expected that a slightly different meta should be rise on Xbox One. Apart from that and Leo missing, you could not find any significant differences. The hope is that GGG will manage to integrate him back or at least gives us his bench. In terms of trading, the Xbox version uses an in-house solution to trading which PC has not. Offering items works similar to PC because you can put them into your premium stash, mark it as public and open a menu to set an asking price. The item is listed tout de suite. In order to buy, you visit the trading board that can be found in any town and choose a category of item, e.g. Body Armour -> Copper Plate. This trade system, while drawing the ire of those who just want to gear up quickly so they can return to speedclearing maps, feels so natural to a game whose systems build on a large degree on the prinicples of lottery and with a lore of struggling for survival and greatness in a land where everything possible has gone wrong. My impression is that it is much more in line with the designed vision of the game than the hyperefficient tools on PC. Yet, trading on Xbox has its issues at the moment and one of the biggest problems is that I am unable to tell which request came first since there is no time stamp. I felt bad telling one buyer that the item is sold, and even worse since I could not be sure they really were second in line. Also, a brief notification that there is a new request would be helpful. All in all, it is safe to say PoE on Xbox is a success so far. Although there is a lot of room for improvement and fixes, the game we have today is a very firm foundation and did not compromise gameplay. It is worthy having a try!